The rise in activism, and the desire to not just read and react to news, but take action on it, is at a fevered pitch since the election of Donald Trump. You can see it on social media, when people post phone numbers of relevant public officials, in reaction to a news story. You hear it in reports from Congress that phone lines are jammed with so many incoming calls in reaction to news reports that a vote is close on a nomination. This is giving rise to apps like Countable, which break down news and bills into simple English, then give people a means to immediately communicate their position on any bill or issue with their lawmaker. 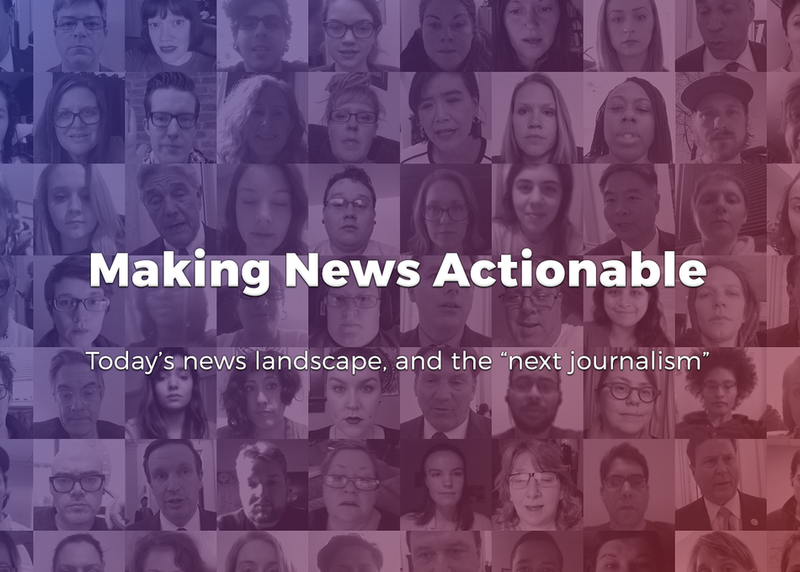 At the same time, news outlets like the Huffington Post are experimenting with tools that allow for instant action at the end of their news stories, allowing people to connect with others who have similar opinions on a story. Former NPR reporter Andrea Seabrook has called the mix of news and activism as “The Next Journalism.” Is this the future of the news business? Should it be?